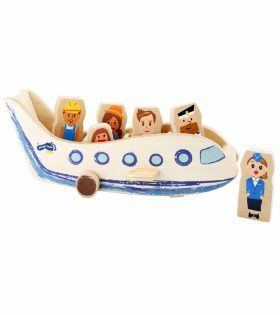 Up, up and away in this super wooden plane. Business travellers, families and construction workers will all feel safe and comfortable and are well looked after by the captain and stewardess. 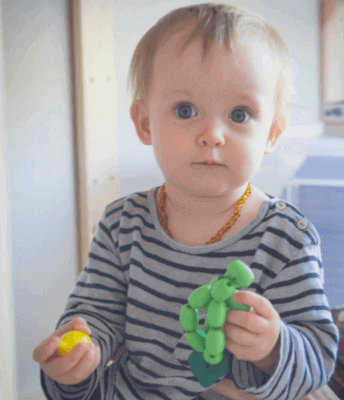 All six figures are printed on robust laminated wood and are easy to hold. The plane rolls down the runway on two rear wheels and one front wheel. 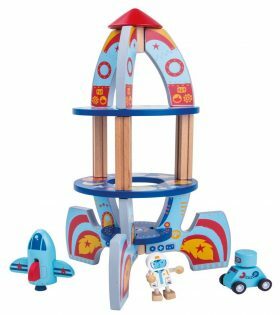 Easy to assemble and playable on two floors: this colourfully painted wooden rocket offers a take-off and landing site for the spaceshuttle. The little astronaut figurine is accompanied by a robot on wheels – varied and long playing pleasure. 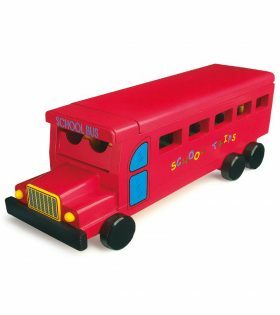 No matter where you want to go, the bus-driver knows the way. Moveable parts. 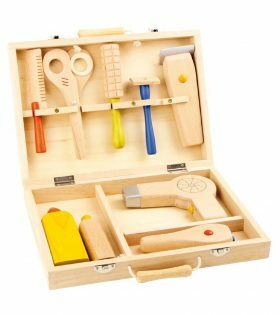 Perfect for traveling and a nice accessory in every child?s beauty salon: This hairdresser case is made of unlacquered timber. Ergonomic handles for comfortable carrying and snap-on hinges for easy opening. Also the interior is a nice surprise: all kinds of hairdressing accessory can be found ? comb, round brush, scissors, a hair dryer, razor and various little bottles ? all made of wood, can be affixed with Velcro and small wooden sticks. 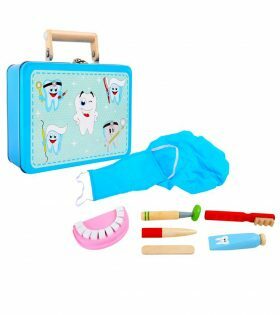 Preparing your children for a visit to the dentist is child?s play with this dentist?s set. It can be used to explain exactly what happens in the dentist?s surgery. Children can wear the fabric mask and cap to feel like a dentist themselves and learn how to take care of their teeth with the set of teeth, toothbrush and toothpaste. The instruments are made of robust wood and are stored in a wonderful metal case. It can therefore be taken everywhere you go. 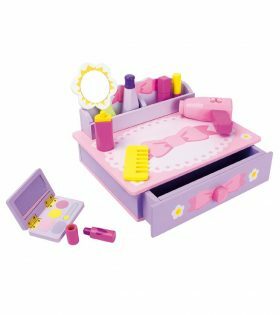 A painted wooden make-up table set containing various wooden beuaty items.